Gilt-bronze vase for incense tools cast with the Eight Precious Things (Babao). Hu Wenming type. 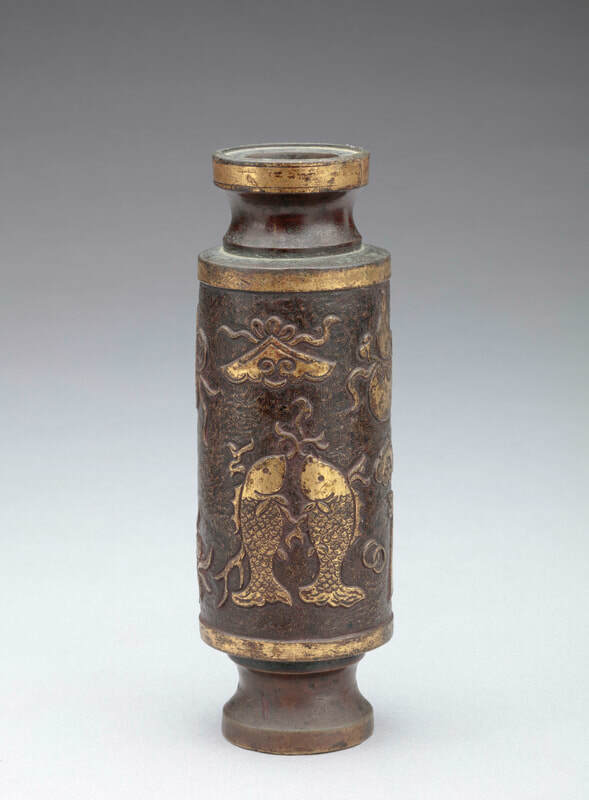 Qing dynasty, 17th­–18th century. 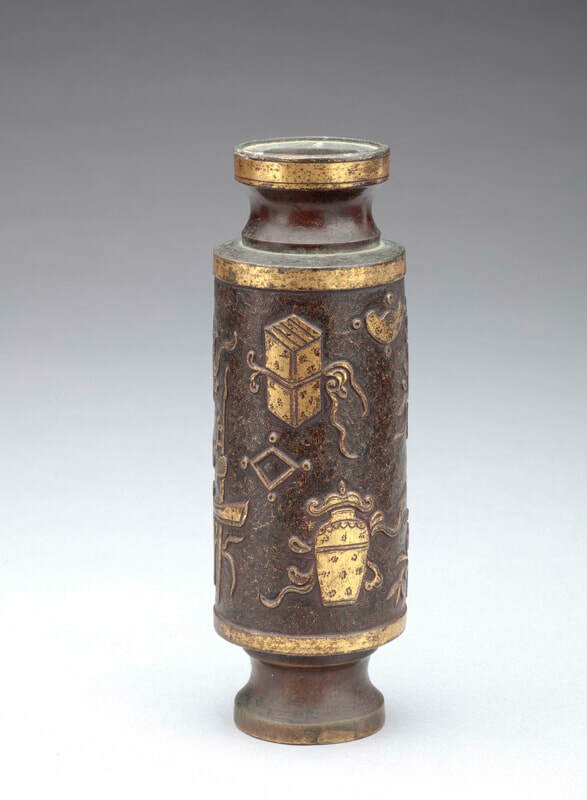 A bronze and parcel gilt incense tool vase decorated with a continuous band of auspicious or felicitous symbols with parcel gilt highlights, on a rough worked ground, bordered above and below with a simple parcel gilt band, a waisted concave neck and vertical lip with incised lines also in parcel gilt. Raised on a high concave waisted foot with a wide foot and recessed base. 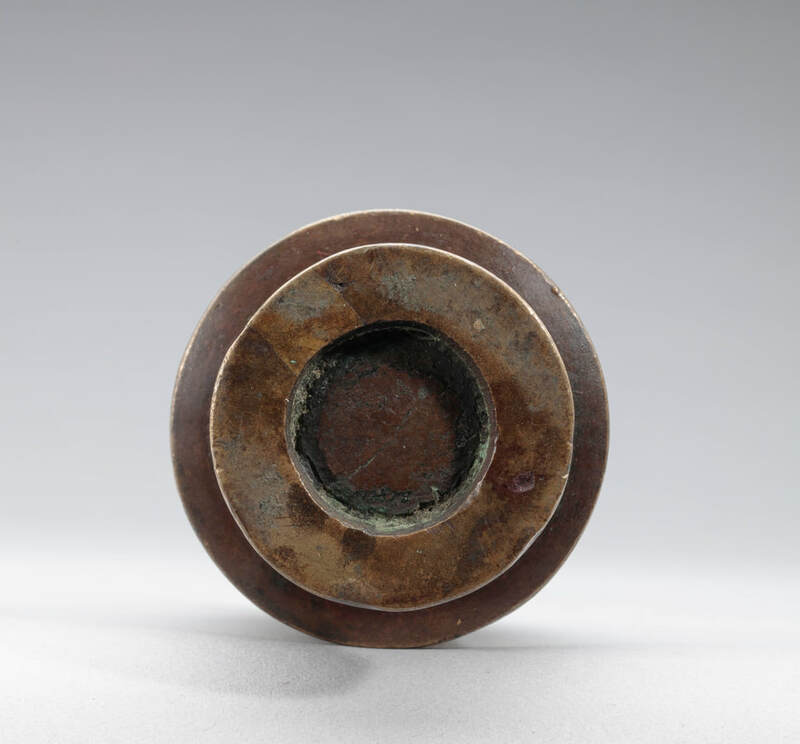 Qing dynasty, 17th – 18th century, Hu Wenming type. 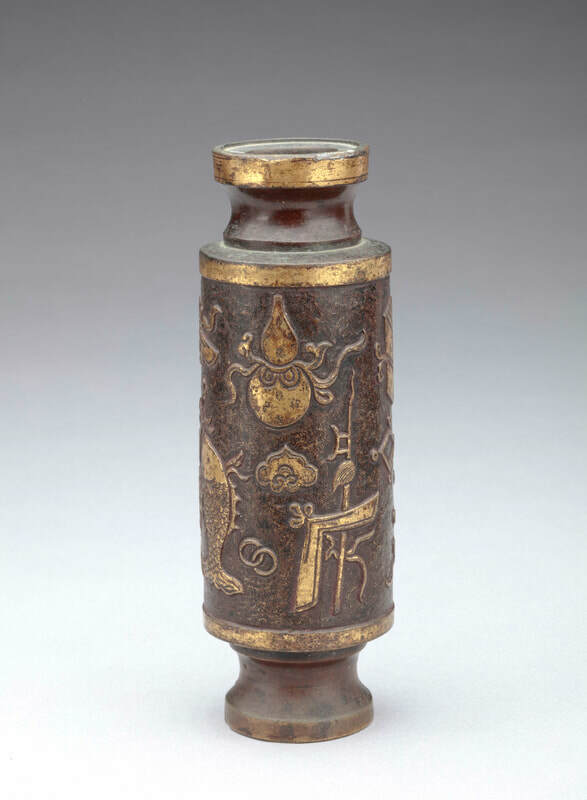 Although of Hu Wenming type this incense tool vase does not exhibit the ring punched or double-Y punched ground that one associates with Hu Wenming nor the inset copper base inscribed Hu Wenming zhi and has consequently been ascribed a later date.